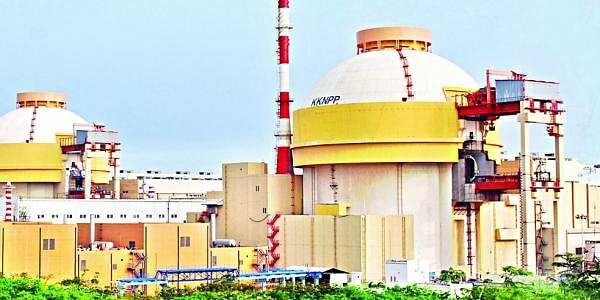 The first unit of the Kudankulam Nuclear Power Project, synchronized to the southern grid early Tuesday, has been stopped for inspection of the equipment and systems condition, official sources said. Official sources here Wednesday told IANS that the unit was stopped after around two hours of synchronisation when it had achieved generation levels of 160 MW in line with its commissioning programme. "On completing the necessary works at the minimal capacity level, the unit (1) was stopped for further inspection of the equipment and systems conditions," the source told IANS on condition of anonymity. The official said the 1,000 MW unit will be "gradually synchronised" with the grid at the higher capacity levels of 50 percent, 75 percent and 100 percent, as announced Tuesday by the Kudankulam Nuclear Power Project (KNPP). "On completing the required tests at each capacity level, the unit will be stopped for inspecting its condition, and only then the capacity will be increased to the subsequent higher level," the source added. "The power will be further raised to 500 MW, 750 MW and 1,000 MW in stages," KNPP had said in their release, adding that with every increase in generation, the plant will have to get regulatory approval from the Atomic Energy Regulatory Board. The synchronisation of the project coincided with Prime Minister Manmohan Singh's visit to Russia and marks a successful stage in the nuclear collaboration between India and Russia. The second unit is due to be commissioned by the middle of 2014. The unit achieved criticality in July this year and in the period leading up to synchronisation has been undergoing experiments and testing.